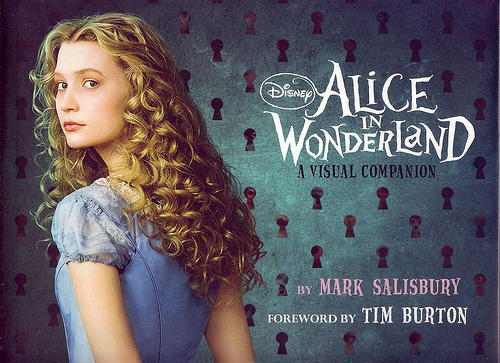 Alice in Wonderland: The Visual Guide: Disney. Published by Dorling Kindersley, 2010. Hardback. Go behind the scenes of Tim Burton’s Alice in Wonderland. Meet Alice, from Alice in Wonderland; now aged 17 she attends a party at a Victorian estate only to find she is about to be proposed to in front of hundreds of snooty society types. She runs off, following a white rabbit into a hole and ends up in Wonderland, a place she visited 10 years before yet doesn’t remember. Step into Wonderland and come face-to-face with the characters from Tim Burton’s Alice in Wonderland, and satisfy your curiosity through tons of cool facts. You’ll meet The Mad Hatter, The White Queen, Cheshire Cat, Tweedle Dee and Tweedle Dum and more. Then journey through fantastic stills and CG character photography from the movie and discover all about Alice’s magical adventures. Not as ‘DK’ as you’d expect: pretty much a storybook with photos and a few odd facts. Glossy and well presented though, but I suspect the ‘Visual Companion’ is more interesting. 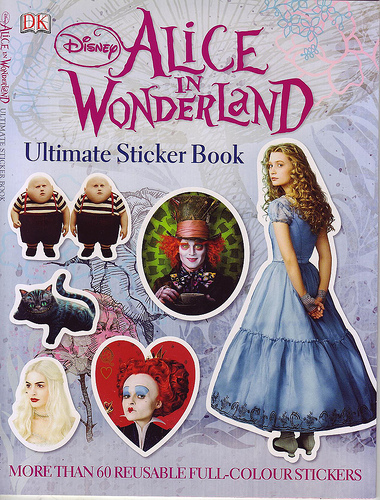 Disney Alice in Wonderland: Ultimate Sticker Book. Published by Dorling Kindersley, 2010. Softback, first edition. Tie-in book for the Tim Burton Disney film. 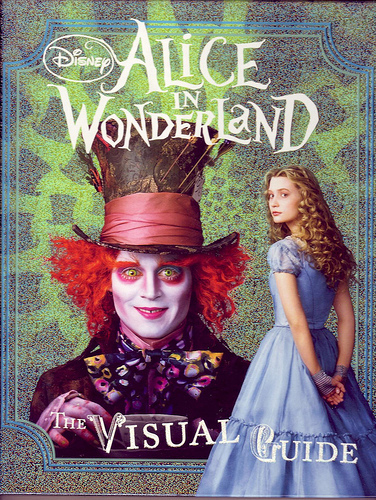 Watch your child get stuck into Alice in Wonderland Over 60 colourful stickers and amazing scenes straight from Tim Burton’s, Alice in Wonderland means kids can discover all about their favourite magical characters. Watch as they create their own incredible adventures, then peel stickers off to use again and again. And if they still want more, there are lots of cool facts about Alice in Wonderland to amaze their friends with. Hours of wonderful, sticky fun. I’m feeling a bit ‘meh’ about this one, but I knew that if I failed to buy the film tie-ins now for cheap, I’d likely be buying them for expensive in a few years time… ah, the pain of the collector.